30 May 2006: Two houses were demolished by the Israeli Occupation Forces (IOF) in the village of Brukin, Salfit, West Bank, on Tuesday morning, 30 May, 2006. They were among 70 houses that have received demolition orders, according to Brukin’s Mayor Ekremah Samara. 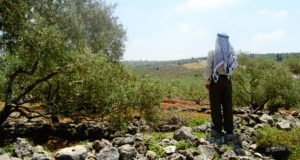 The village, which has lost 8000 dunums of land to Israel, is designated as “Area C” under the Oslo Accords and is along the route of the Apartheid Wall. According to eyewitnesses, 25 military vehicles comprised of hummers and two bulldozers entered the village at 6:30 a.m. They split into two groups, one heading for Buk’an, the northwestern part of the village, and the other to a hill overlooking the Mosque. In Buk’an the bulldozer demolished a half-completed home being built by a local man who works in Jordan. He had planned to house his family of ten in it. None of his relatives witnessed the demolition. The home was among five other houses in the same neighborhood under threat of demolition. 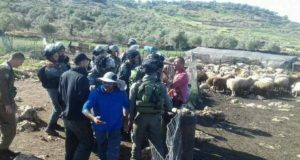 Simultaneously, the IOF razed a newly-completed 130-square-meter home valued at approximately 150,000 NIS. It was to house a 26-year-old unemployed man and his wife after their marriage this summer. The family had hired a lawyer to appeal the demolition order but no action had occurred. 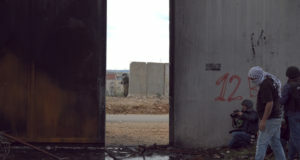 In both locations, soldiers prevented other villagers from entering the areas. Local residents were ordered to remain in their homes on threat of being shot. According to Ekremah Samara, if all notified homes are demolished, nearly 700 people could become homeless.